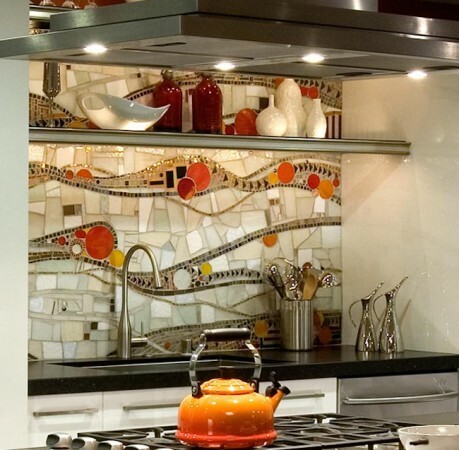 Liven up your kitchen with a unique backsplash. 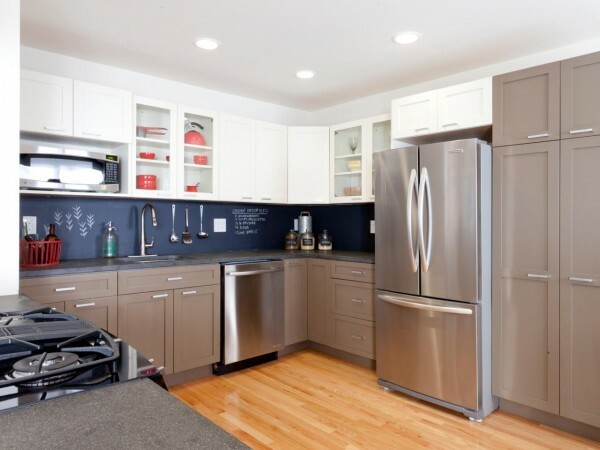 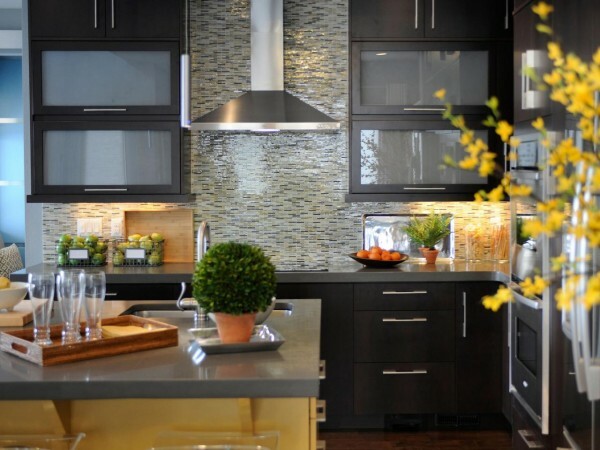 Tile, metal, stone, mosaics and many other elements can be used to create unique backsplashes. 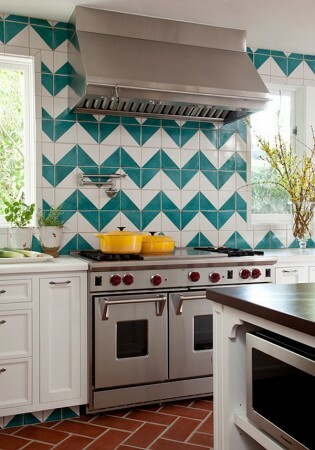 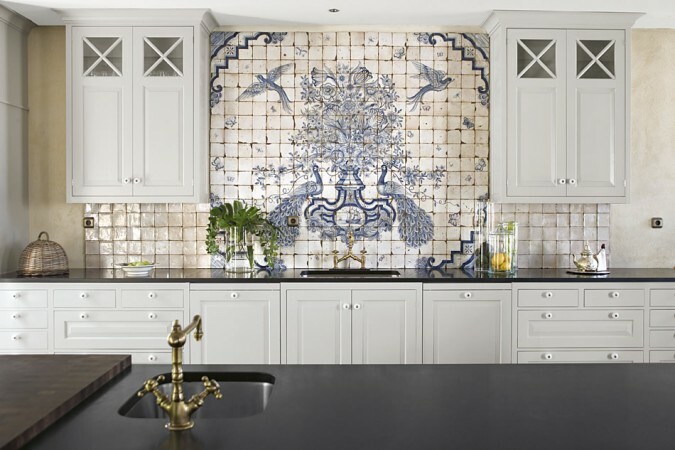 Here are 13 beautiful backsplash ideas to add character to your kitchen. 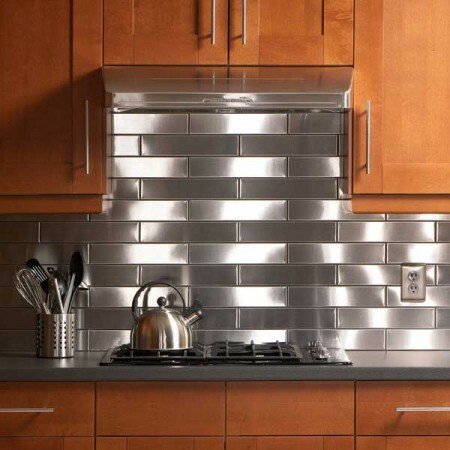 Smooth stainless or copper tiles bring a refined luster to your kitchen. 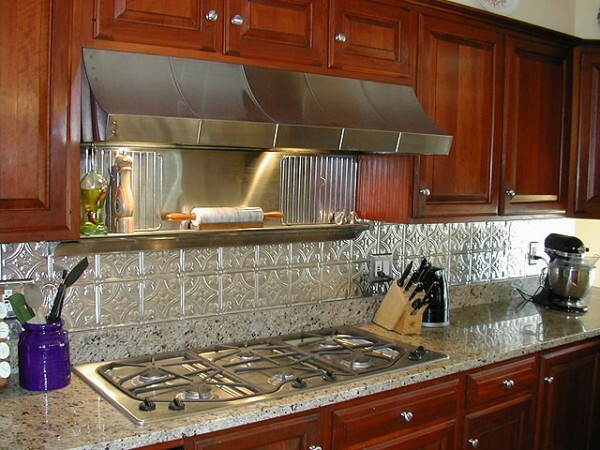 You’re probably familiar with embossed ceiling tiles, but how about adding them to your kitchen backsplash? 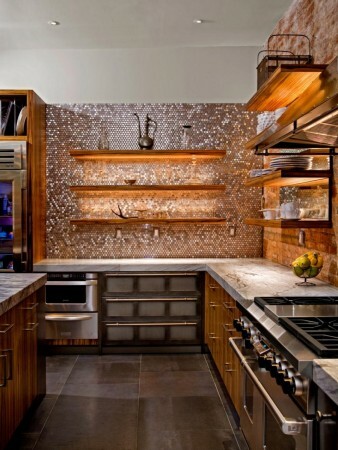 Luminescent tiles create a magical surface in the kitchen that shimmers and glistens. 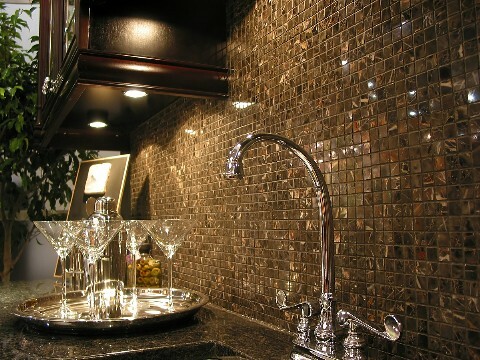 Try these around the sink or bar area for a dazzling effect. 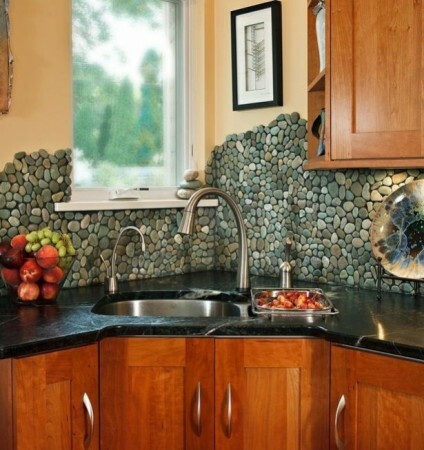 Create marvelous texture and interest with river rock on your backsplash. 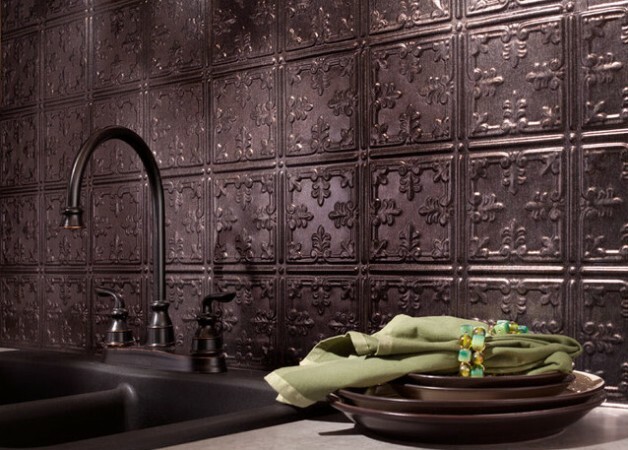 Cover the whole wall or create an interesting pattern. 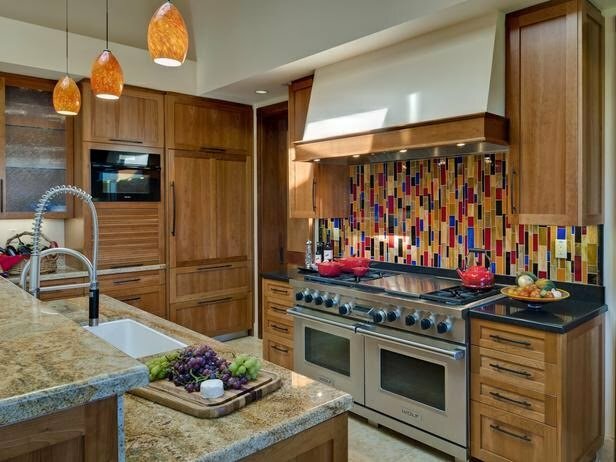 Use pieces of natural stone, such as slices of agate or amethyst, with ceramic tiles to create a flowing and beautiful backsplash design. 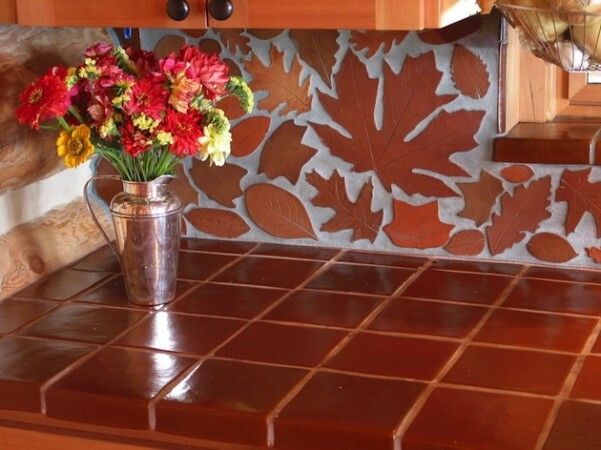 Apply leaf-shaped or other nature-inspired tiles for a wonderful kitchen enhancement. 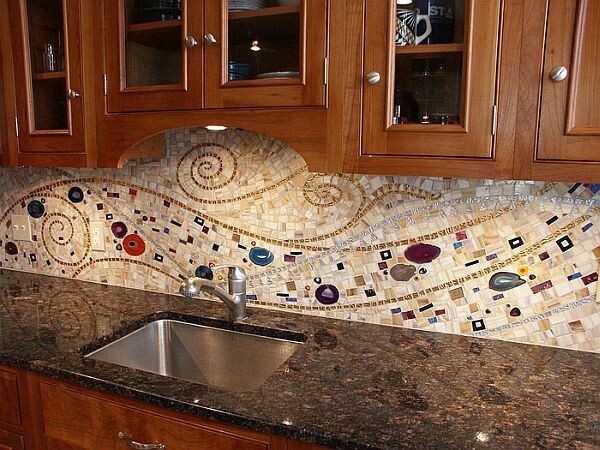 Use tiles to create a beautiful mosaic design or use a center tile and create a border with complementary pieces. 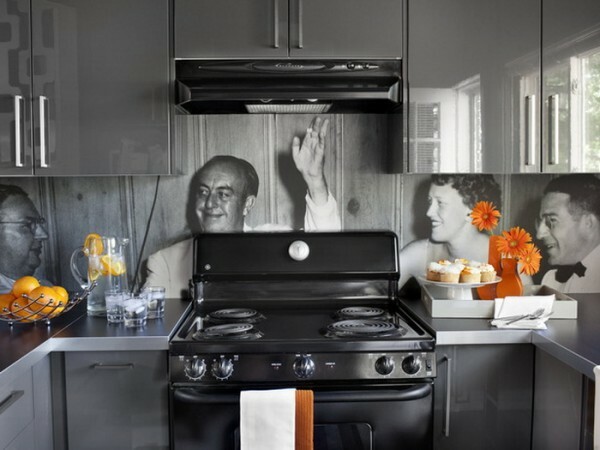 Transfer images to tiles for a very unique and personalized kitchen backsplash. 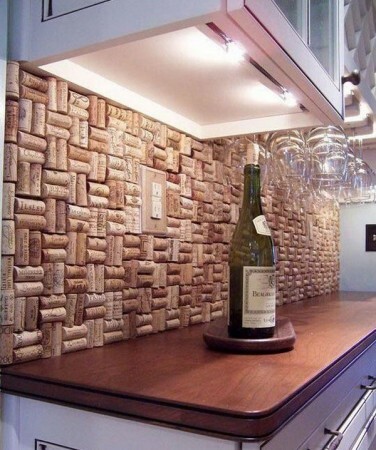 For the wine lover, put those corks to use by creating a cork backsplash. 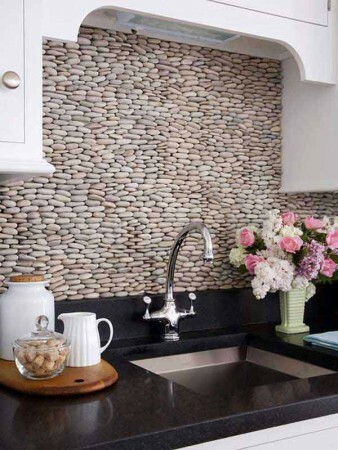 Adhere the corks to tiles or directly to the wall. 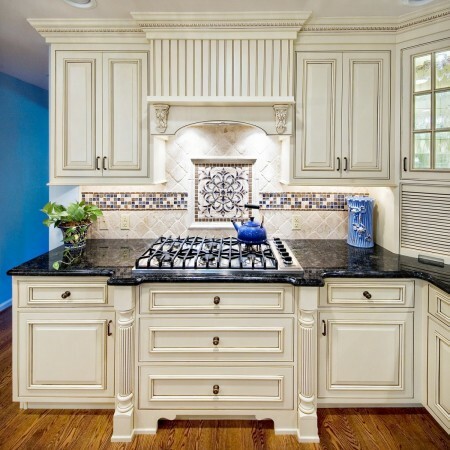 Seal them with glaze for longevity and easy cleaning. 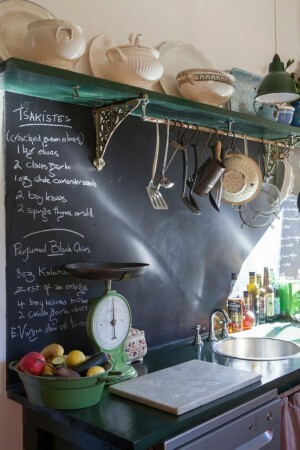 If you like to change things up or enjoy the bistro style kitchen, install a chalkboard backsplash and have fun adding messages or patterns. 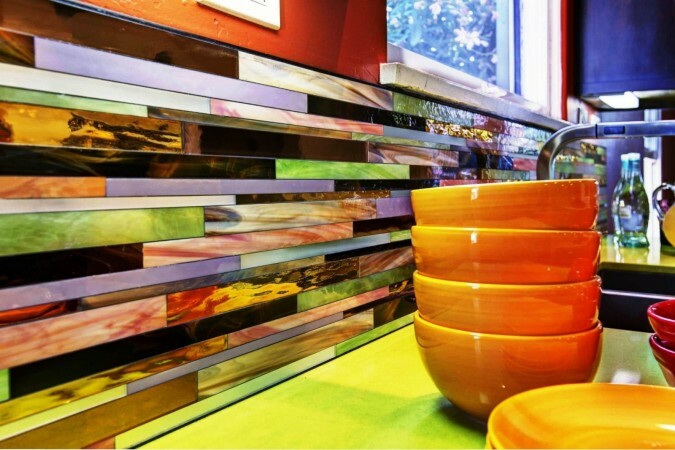 Colored glass tiles make for an interesting backsplash. 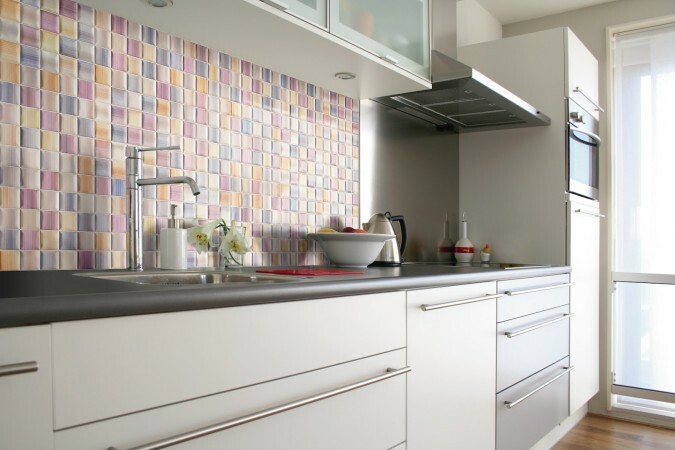 These tiles can be arranged into creative patterns and colorful designs for a custom look. 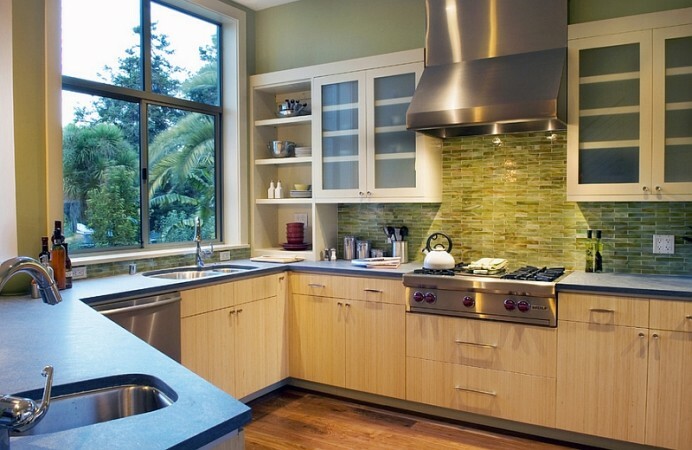 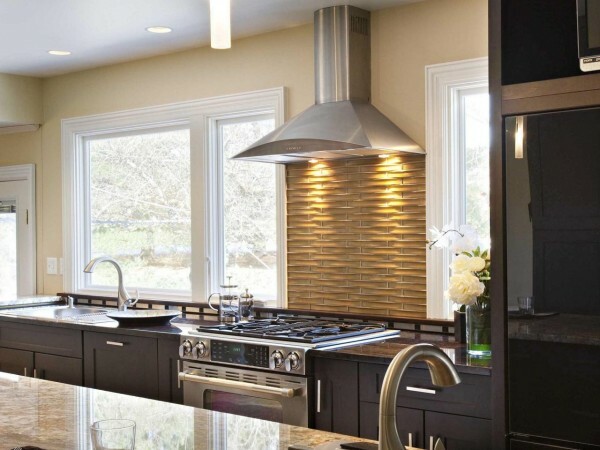 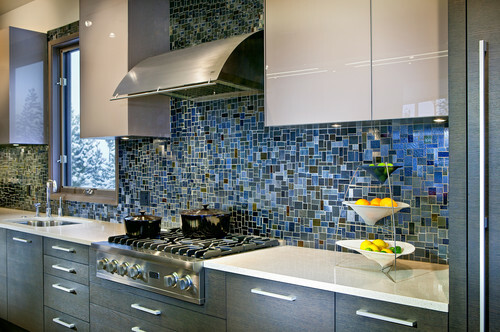 Glass tiles have a wonderful shimmer that highlights the backsplash. 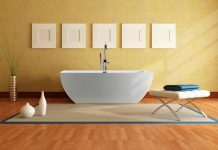 Ceramic tiles come in a great variety of shapes, sizes, patterns and colors. 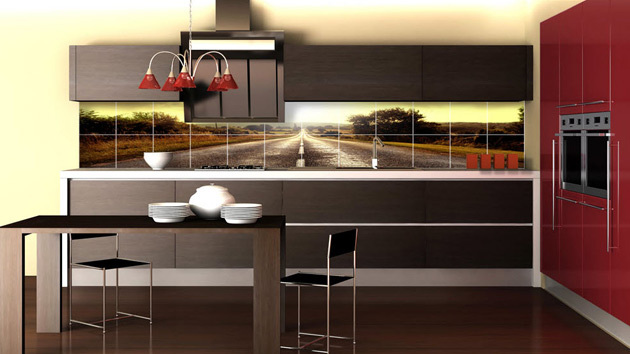 They can be mixed and matched for whatever design you like. 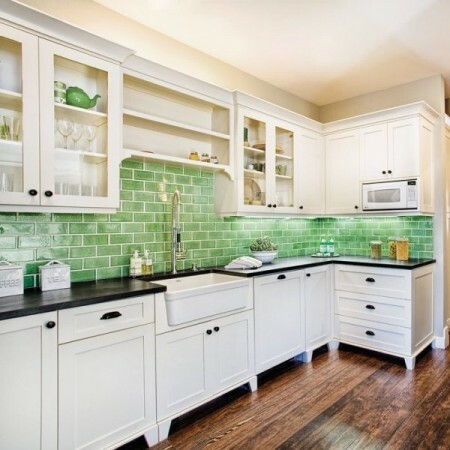 Subway tile is a popular choice among homeowners. 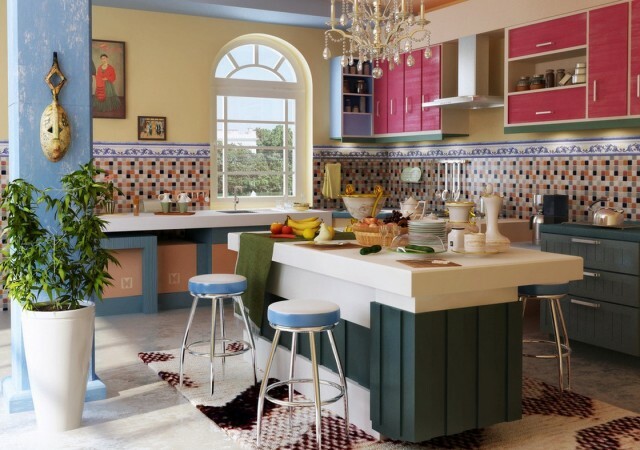 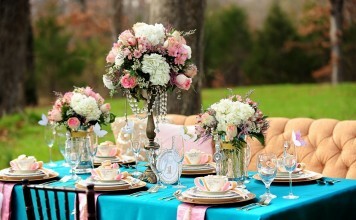 It is classic and comes in a variety of colors. 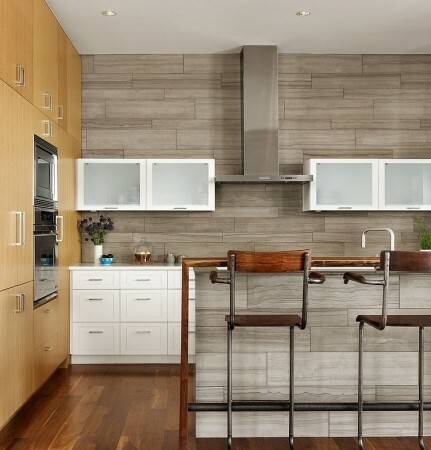 For a modern look, try larger tiles with a wood grain or faux stone finish. 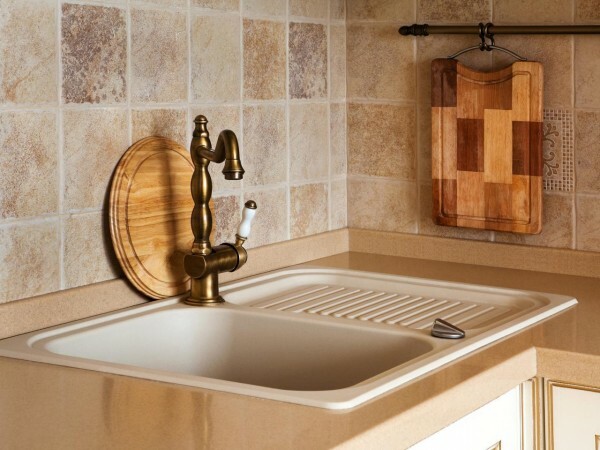 Even wood panels can be used for a classic kitchen look. 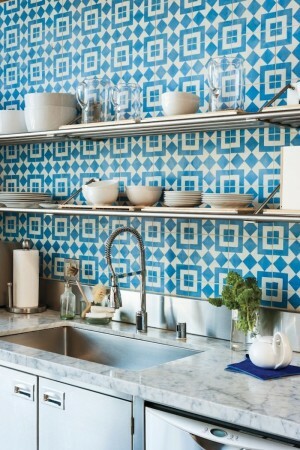 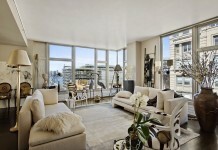 Tiles don’t necessarily have to be placed square. 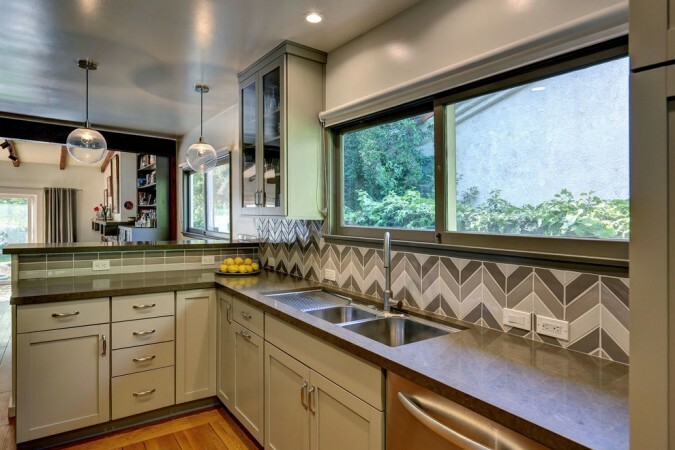 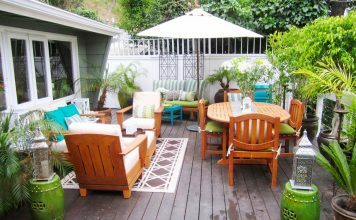 Create a stylish design, such as chevron, for an updated modern appeal. 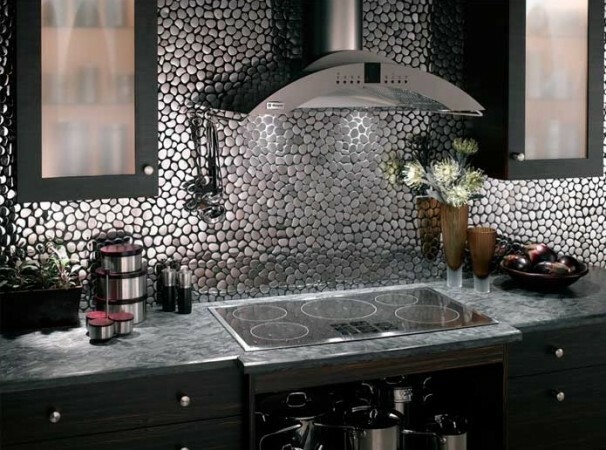 The kitchen backsplash is an area of the home that can be designed with creative touches for a personalized look. 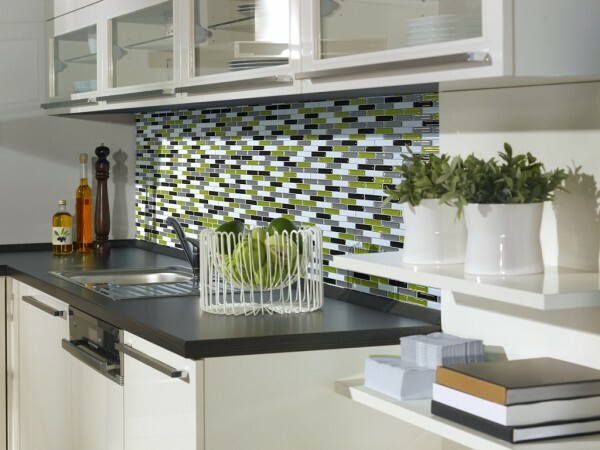 Add shimmer, nature-inspired designs, or a simple subway tile for a distinct look in your kitchen.